A reflection of this resistance was the Jan. 27 resignation of Christiane Taubira, the minister of justice in Prime Minister Manuel Valls’ cabinet. Taubira said she resigned because she could not support the French government’s recent proposal to remove French citizenship from anyone convicted of a “terrorism-related” offense. Even though polls say 75 percent of French citizens support strengthening the security apparatus, the left in France opposes the state of emergency, especially the attempt to remove French citizenship. 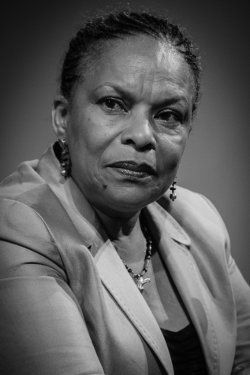 Taubira is a Black woman who represents French Guiana (Guyane) — a French possession in South America with the status of Overseas Department — in the French Parliament. She is not a member of the Socialist Party. Taubira’s political history includes running for president of France in 2002. She got much publicity in 2012 by being the most effective spokesperson in Parliament for the right of all people to marry, which earned her the undying enmity of right-wing French politicians. Taubira is currently in the United States, speaking at New York University’s law school and getting an honorary doctorate in law and human rights from the University of Wisconsin-Milwaukee. When she resigned, French television made a point of showing her wearing a helmet and riding her bicycle away from the Hôtel de Bourvallais, the site of her ministry. She quipped that she wasn’t going to use Uber, which is currently the target of a major protest movement in France by taxi drivers and other workers. The national taxi driver unions and farmers made a much more direct challenge to the state of emergency. Beginning with a few roadblocks in Paris on Jan. 21, taxi drivers extended their strike throughout the major commercial centers of France, blockading major highways with their bodies. In Paris, they concentrated on the roads leading to the major airports and fought with the cops, setting fires and using smoke flares, to keep the roads closed. French television showed men in business suits running on the shoulders of the highways, dragging their luggage and trying to make their flights. Air France warned that the taxi strike could “greatly disrupt” access to airports in Paris, Toulouse, Bordeaux and Marseilles. Valls did promise to review the disparities between how the state taxes and regulates taxis and how it treats Uber cars. The drivers then called off their strike. Farmers throughout France, especially in the west and Brittany, have been protesting low prices and a market structure that makes it uneconomical to produce and sell their products. They also have been blocking roads with burning tires and other farm trash, as well as heaps of manure. There has been no mention of invoking the state of emergency, which theoretically would prohibit such protests. In a protest that was openly political, thousands of people marched in over 70 French cities on Jan. 30 to demand an immediate lifting of the state of emergency and to express their outrage over the government’s plans to revoke the French citizenship of those convicted of terrorism. In early January 2015, attackers had killed 11 staff members and their security guards at the office of Charlie Hebdo magazine, which had satirized the prophet Mohammed. A few days later, an attack on a kosher supermarket called Hyper Cacher killed four people. The French government, under the slogan “Je suis Charlie” (“I am Charlie”), mobilized a demonstration of reportedly 1.25 million people and 50 heads of state. It was really a show of support for French imperialism, which has been intervening militarily in North and West Africa and Syria, causing enormous damage and loss of life. Those in Paris who dared to say “Je suis pas Charlie” (“I am not Charlie,” in the French vernacular) were either ignored or suffered serious reprisals. On Nov. 13, a coordinated series of attacks in Paris and its suburbs killed 130 people. The day after the attacks, the French government declared a “state of emergency” which allows it to ban demonstrations of all sorts, assign anybody it wants to house arrest and conduct searches and seizures without judicial oversight. It also mobilized over 100,000 gendarmes (militarized cops) and soldiers to “guard” transportation and mass transit. The state’s repressive apparatus put hundreds of people under various forms of house arrest and made thousands of searches. The right wing has used the attacks to target immigrants, especially Muslims, including the new refugees coming from Syria. Parliament extended the state of emergency for three months before the government’s declaration expired. The government now says it wants to extend it from February to May. It also plans to modify the country’s constitution to make states of emergency easier to declare and perhaps make them permanent. 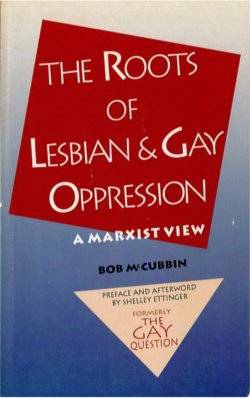 But these maneuvers are awakening resistance in the working class.